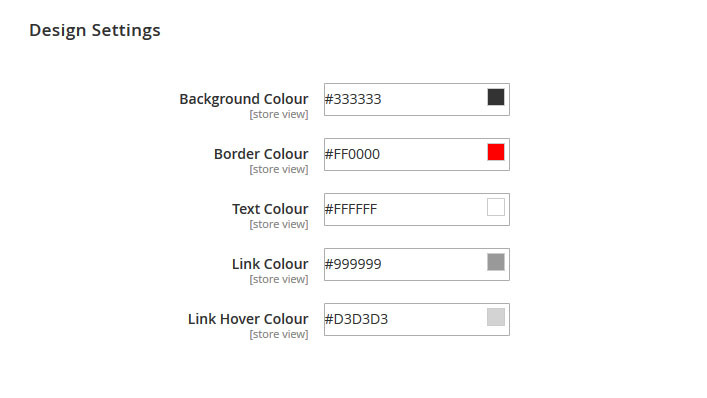 Easy to install and use with familiar mechanisms to Magento 2 web store users. 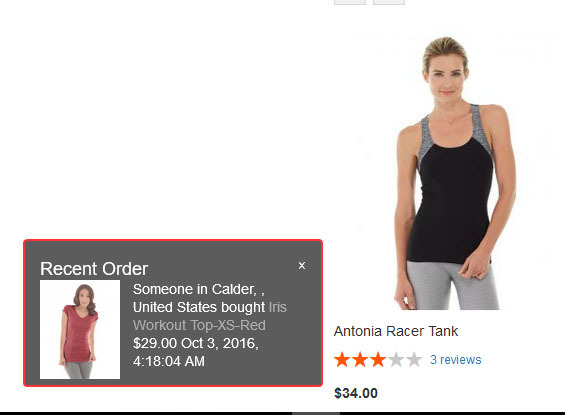 This Magento® 2 extension creates an atmosphere of customer trust and increases your online sales conversion via social proof which ups your company’s reputation. 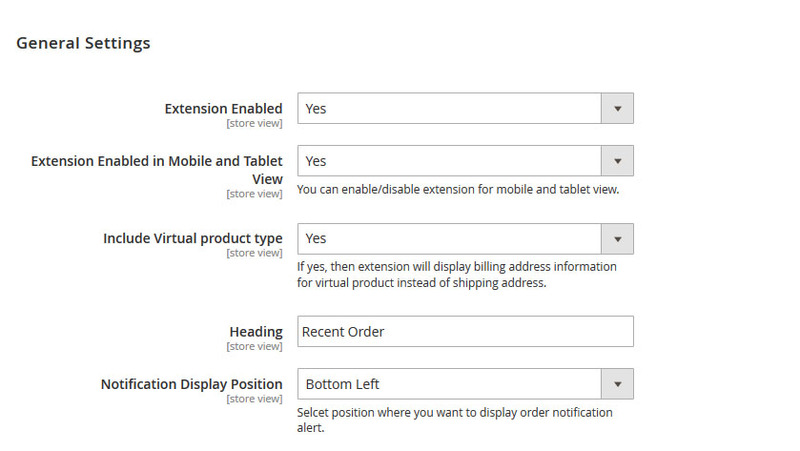 The extension gives visitors real-time transaction updates and last ordered products displayed in a fading pop-up box on the lower left-hand side of the screen. The display includes the customer’s location and product purchased.